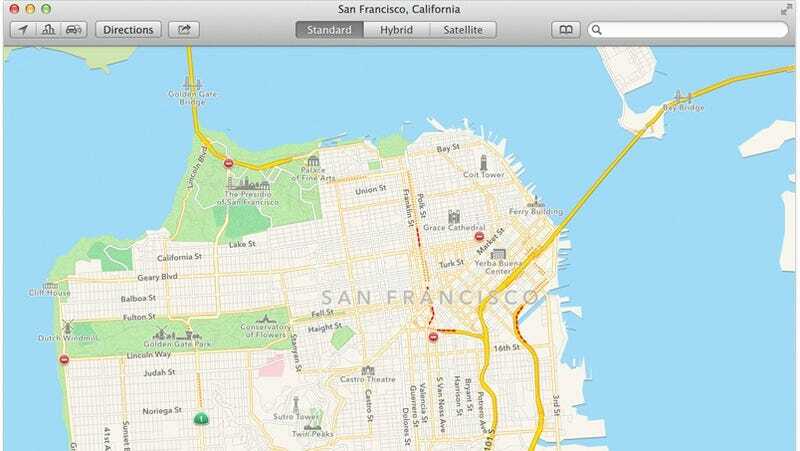 Apple Maps is getting a pretty little desktop client in the new OSX Mavericks. The desktop client includes the same (steadily improving) offering of 3D-flyover views, and provides you with information cards as you skirt around different locations. And once you find your destination on the desktop, you can shunt it right over to your iPhone at the press of a button. Calendar is getting a couple of improvements too. Theres no more leather, and there are some new features to fill its place. Events will now provide handy, automatic, Google Now-esque information like how long it will take to get to your location. You'll even get a desktop notification when it's time for you to leave.